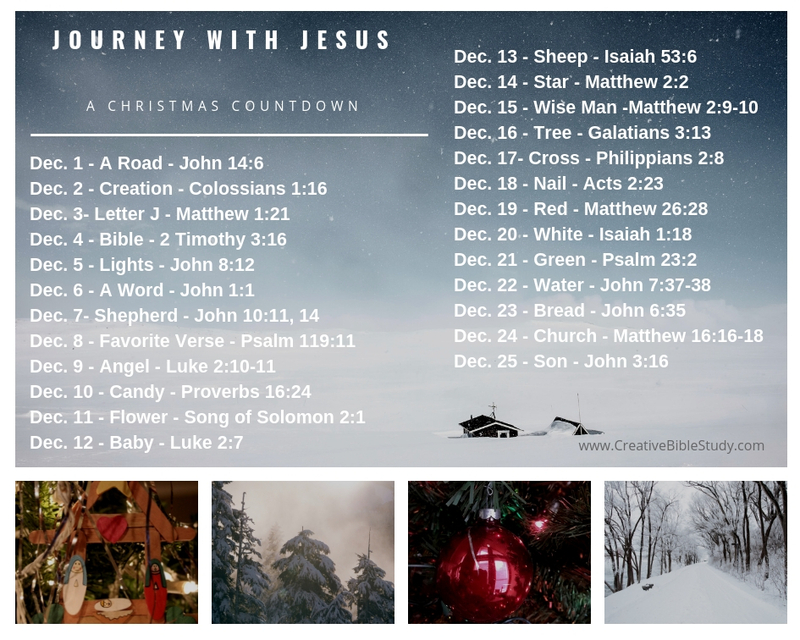 This is the ninth Christmas devotion of twenty-five Christmas countdown on-the-go, active, object lesson devotions with Bible verses to help us keep our focus on the true reason for the season! Each day snap a photo of each item for a visual and use as a photo challenge on Social Media, or with your family, small group, friends or just for yourself. It’s a fun way to enjoy the presence of Christ each and every day as we look towards celebrating His birthday! Although I have several angel ornaments on our Christmas tree, I didn't choose one of them for my countdown photo for today's Christmas devotion. Nor did I choose one from our nativity set. 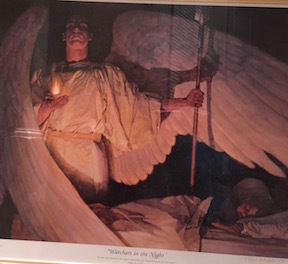 I chose to take a picture of Thomas Blackshear's "Watchers in the Night" that hangs in our bedroom. I like how it portrays this messenger of God as mighty and strong. I believe it better portrays how the Bible describes angels. Here in Luke 2:10-11 an angel of the Lord delivers a powerful message to the shepherds - "Do not be afraid." Fear strikes the hearts of men and women every day. Fear is no respecter of persons. It reaches out and causes us to either cower and retreat or to become paralyzed due to dread or awe. The shepherds were probably struck by both - dread of the unknown of what was happening and the awe of these majestic mighty creatures surrounded by the glory of the LORD! However, the fear itself is not the main point here. The reason they did not need to fear is. The angel told them the "good news" - the Savior has come, the Messiah is born! How many glorious verses in the Bible begin with two precious words - "But God..." No matter what happens today or tomorrow, no matter what the known or unknown of it may be...God is still in control! When we know Christ as our Savior, nothing can separate us from the love of God.